The Jumbo Collection brand is a guarantee for quality and for Made in Italy. All the items come with a special label that certifies absolute authenticity of each single piece. Authenticity can also be seen in the upholstery thanks to the covers that bear the logo Jumbo Collection. Inside or on the back of every piece of furniture a metal label is applied as a further guarantee of the item’s authenticity. The company is part of the Qualità Cantù 2001 (Cantù Quality 2001) consortium, a local agency located in the Municipality of Cantù. The agency’s task is to enhance and develop traditional hand-crafted products specific to the furniture sector and promoting the “Made in Italy” philosophy abroad. The associate companies respect the production criteria of hand-crafted art, creating unique pieces that combine maximum taste with the search for design solutions. The brand “Qualità Cantù” distinguishes all the products of the Jumbo Collection line. The company was awarded with the “100% Made in Italy” certificate from the certification organization, Istituto per la Tutela dei Produttori Italiani (Institution for the Safeguarding of Italian Manufacturers). 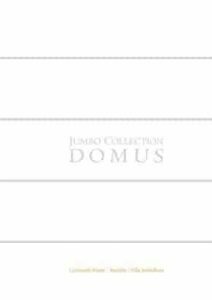 The institute has certified that Jumbo Collection possesses the requisites of the “It01  100% Qualità Italiana” (It01  100% Italian Quality) system. A distinctive mark is given to all the manufactured items regarding this certificate along with an identification number that guarantees the item’s traceability. Jumbo Collection was founded in 1985 as an Italian company specializing in the creation of classic style upholstery. During these years the models Sabrina, Virginia and Bastora were designed and created. Jumbo Collection begins to work for the Middle Eastern markets. Upholstery becomes the main production feature. The company decides to introduce the first upholstery collection, using neo-classical style fabrics with particularly marked colour hues. This line of upholstery, also thanks to fabrics produced by some of the most prestigious fabric companies working exclusively for Jumbo Collection, allows the company, for the first time, to extend their brand at an international level and, at the same time, gain recognition as the “editor of fabrics”, with the features described above. For example, the models Sandy and Dolly were created during these years. Always during this period the company becomes stronger in the Middle Eastern market and begins to export in the Far East. In the mid-1990s the first collection of classic furniture is introduced and added as an integral part of the already successful upholstery collection. With these first models Jumbo Collection has a widespread diffusion in other markets, able to finish their complete line of home furnishings. The models Desirè and Elegance were created in these years. Following these first furniture collections the idea of introducing complete living rooms and furniture collections with the same decorative pattern arises. Based on this criteria the collections Palladium, Villa dEste, Creta, Prestige and Bolero were created. 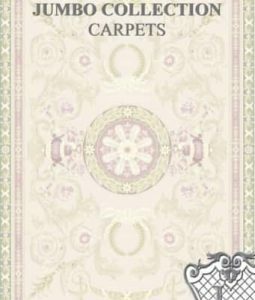 During these years, with the catalogues Rendez-Vous, Temptations and Alchymia, the companys intention is to go beyond furniture as an end in itself, trying instead to introduce an overall living style and taste, suggesting a combination of complementary objects that range from chandeliers to rugs, thus proposing a Jumbo concept that defines a unique atmosphere, whereby the Jumbo product is fully experienced and enhanced. In this period, in addition to strengthening the Middle and Far Eastern markets, Jumbo Collection begins to work with the Russian market as well. 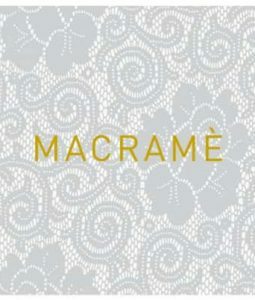 During these years the catalogues Macramè, Promenade, Shangri-La are created, marking a stylistic evolution and the company’s turning point. With them the company is recognised as one of the leading companies at an international level for the production of classic furniture. In 2006 Kitchen Division is created with its own dedicated staff and the first Kitchen catalogue is issued. Jumbo Collection is one of the first companies to introduce classic style custom-made kitchens, thus supplying complete furnishings for every area of the home. The first models are the kitchens Four Seasons and Creta, made with the same decorative elements of the collections bearing the same name. In the following years the company expands their production with the introduction of many new models. In 2009 Contract Division is created, following Jumbo Collections constant success and following the ever increasing client demand for assistance and guidance, not only for choosing the furniture but also for more complex designs that are able to express the charm and seduction of a unique and unmistakable style. 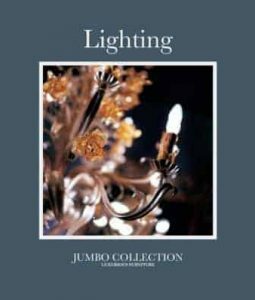 Always during this period Jumbo Collection increases its imports to Russian and East European markets and comes to be recognized as the top brand of classic furnishings and decor. Also China becomes a very important market for the company. In 2010 the collection Masterpieces is presented. 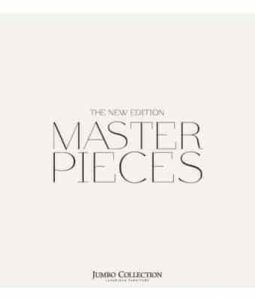 It consists of special items, with a limited edition of 30 numbered pieces made with precious and elegant materials which are inspired by high level hand-crafted historical products, which totally cross the boundaries of the Art world. The first model is the Dresser Roi Soleil, followed by the Roi Soleil desk, the dresser Napoleon, the jewel case Villa Serbelloni and, in April 2011, the dresser-writing table Cavour. 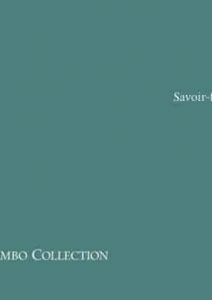 In 2011 5 new catalogues are presented (Canova, Crystal, Lace – Hermes, Regency – Opera – Masterpieces – Kitchen), borne from an unparalleled will to invest and a commitment for innovation, features that have always made Jumbo Collection stand out from the rest. An eye for detail and the search for maximum quality can also be seen in these catalogues. 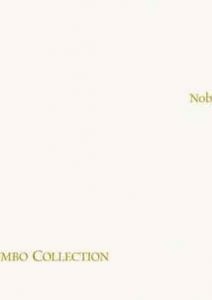 Even on printed paper they want to express the spirit of luxury and the love for beautiful things that have always characterised the production of Jumbo Collection. 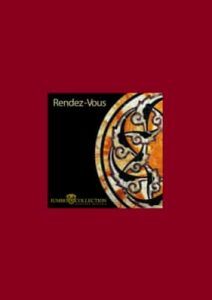 The special project for next year will be to tie Jumbo Collection to the artistic-hand crafted history of high quality classic furniture through the implementation of “Antiques”: a selection of special classical antique items, much sought-after in Italy, which bring with them age-old tales of Italian taste and style. 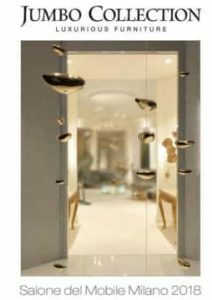 2012 will also be the year for the inauguration of the new offices and showroom: large areas that will best represent a company that in 26 years has gained recognition as an excellence of the Made in Italy. In these years there is a strong strengthening of relations with all the markets and the opportunity to begin new business with other countries, such as India. This doorway to the international markets has raised the company to the status of benchmark company in the furniture sector. “Livio Ballabio is an architect with a degree in industrial design taken at politecnico di milano with Raffaella Crespi, known as “the custodian of the italian design”. with her, he has also collaborated in the academic sphere. Son of furniture makers, Livio Ballabio has grown influenced by the pleasure of furniture, while experimentation has always affected his way of being. at the start of his career he established different partnership, both in the academic field and in the manufacturing field, among which the one with Cappellini International and the one with Mondo srl. today. He is CEO and creative director of some of the most important furniture companies. following his own versatility, eclecticism and influences, he has made ambitious attempts in various furniture fields, always trying to go beyond conventions and the usual modus operandi. More than a hundred professionals work for and with Livio Ballabio; they come from different worlds: decoration, sculpture, design, craftsmanship. Lately he has gone one step further starting an artistic dialog with designers from a completely different world: the world of fashion. the exchange has resulted in two powerful collaborations with Roberto Cavalli Home Interiors and Gianfranco Ferr Home. Last but not least, the JCP project, another challenge with the aim of going beyond what today is inadequately called the “world of design”. April 19, 2019JUMBO COLLECTION: New office proposal in Jumbo Collection …. NEED MORE JUMBO COLLECTION INFORMATION ?